Every November, the government makes promises to the public in the form of budget proposals. These proposals are debated widely and given a lot of attention at the time. Yet very little information is available afterwards. “Budget Promises – Beyond Parliament” (www.budgetpromises.org) is a pioneering online platform developed by Verité Research to address this gap. The platform tracks both the government’s implementation of 2017 budget promises and the availability of information on progress. It does this by asking two simple questions about the government budget: Are they doing what they are saying? And are they saying what they are doing? Budgetpromises.org was first launched in October 2017. At this time, the platform provided information on the progress made on 37 expenditure proposals of Rs. 1 billion and above, during the first six months of the year. Almost a quarter of the promises have been broken. 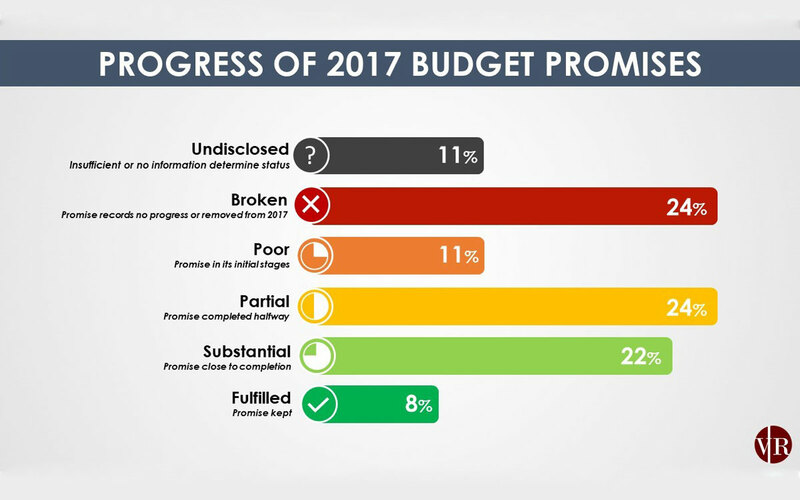 While progress in implementation has been slow, disclosure of information on budget promises has improved. 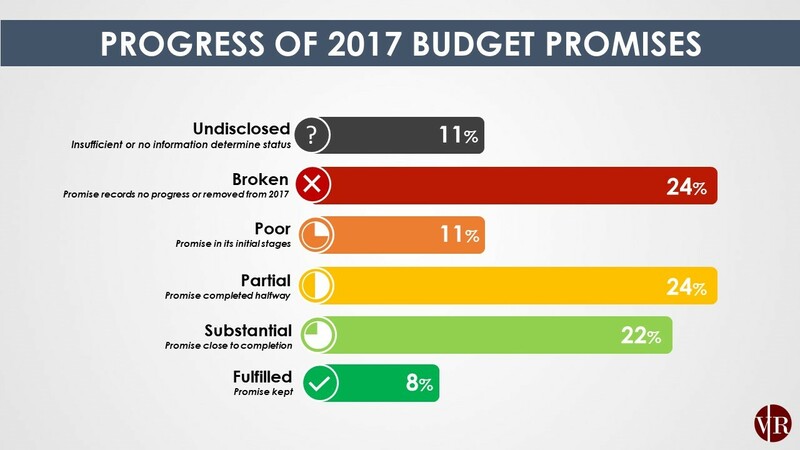 As at June 2017, the progress of 51 percent of budget promises was unknown. By the end of 2017, however, this number had fallen to 11 percent. This drop is a significant improvement on the willingness of the government to share information on the budget.